So I meant to get these pictures up a week ago but it didn’t happen. Remember when I went to the Sailor Jerry Presents Elm Street Music & Tattoo Festival? Well there was a big fundraising raffle for True South, a charity that helps people injured in motorcycle and bike accidents. The big prize was a 1984 Harley-Davidson, but what I didn’t talk a lot about was the 2nd Harley that was given away. 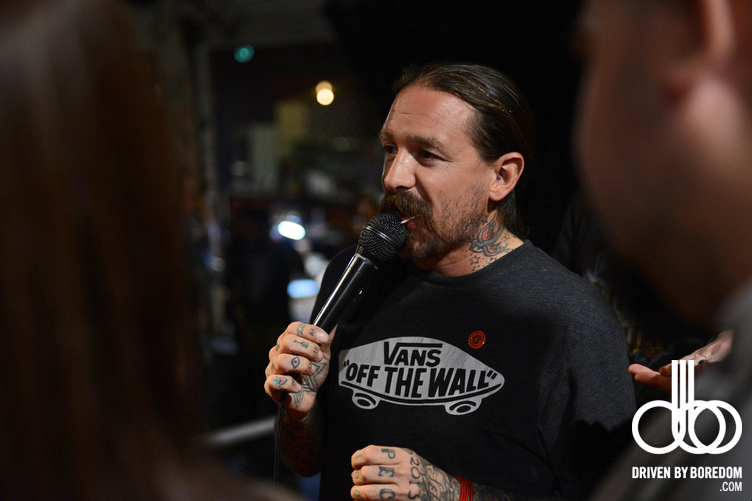 Another bike was given away by Elm Street Tattoo’s Oliver Peck. 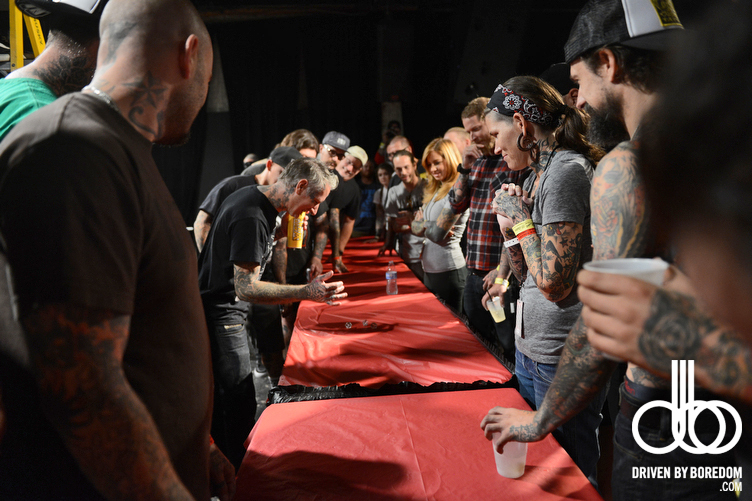 A bunch of tattoo artists and some locals were offered the chance to play in a massive dice game that happened on stage at the end of the tattoo convention at Prophet Bar. 40 people gathered around a table and one by one rolled three dice in a game of C-lo. Four people managed to roll the best possible score of 4-5-6 and they moved on to the second round. In the end it came down to Chicago tattoo artist Keith Underwood and one of the members of the nightclub Trees staff. In the third and final round Keith won the bike and celebrated like a crazy person. It was pretty amazing. 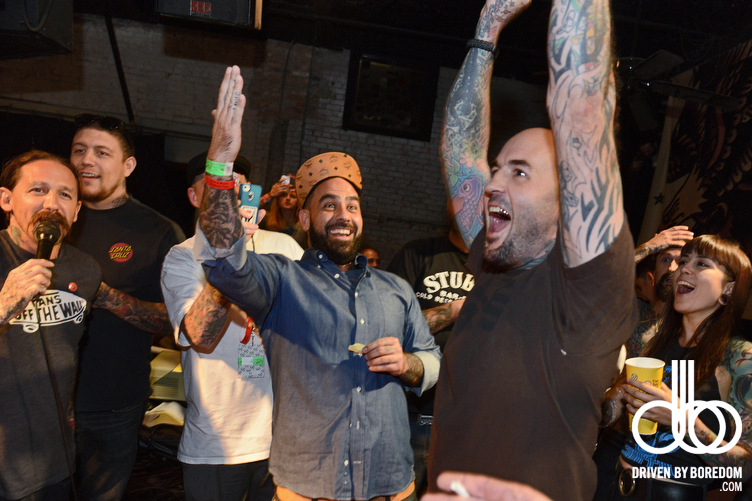 I’ve worked with Keith at a couple of Sailor Jerry events so I was psyched that he won. I should also mention that Oliver rolled a 1, the lowest possible score. Everyone but Oliver got a huge kick out of that. Click here to see all the photos from the dice at the Elm Street Music & Tattoo Fest!